Bangalore: India’s biggest shipowner is in a spot. A buyer who had agreed to buy two old tankers from Shipping Corp. of India Ltd (SCI) that were bound for demolition has backed out of the deal. “SCI has called an emergency meeting of its board on Saturday to discuss the issue," U.C. Grover, SCI’s director for technical and offshore services, said on the sidelines of the India Shipping Summit in Mumbai on Thursday. He declined to name the buyer or the terms of the sale. Revenues from such sales are crucial for shipowners now as these help shore up profits at a time when demand for cargo and charter rates continue to be depressed. Apart from the two tankers being sold for demolition, SCI plans to sell five more single-hull tankers by end March. The state-run firm, which runs 20 dry bulk carriers, 38 oil tankers, three gas carriers and two chemical tankers, is losing money on operating container and passenger ships. In the first quarter, the company lost Rs107.96 crore. Overall, the firm’s profit in the April-June period declined 57% from a year earlier to Rs119.92 crore. It would have been worse if SCI had not fetched Rs24.28 crore from the sale of two ships. “If the first quarter was bad, the second quarter could be worse for shipowners as (charter) rates have plunged to levels where they are not able to recover even operating expenses," said Kapil Yadav, a research analyst at Mumbai-based brokerage firm Dolat Capital Market Pvt. Ltd. SCI is to announce its second quarter results on 31 October. The firm’s board had approved the sale of the two single-hull tankers to the highest bidder at its previous meeting. “But after that, the buyer backed out," Grover said. “For holding on to these vessels each day, SCI will lose about Rs4 lakh per vessel." The two single-hull ships are parked in a port on India’s eastern coast. Even when ships are laid-up, the shipowner has to pay standing charges on crew wages, interest, depreciation, lube oil, diesel oil for power consumption and management expenses ashore. SCI has the option to hold back the advance paid by the winning bidder for the two ships—Rs20 lakh for each vessel. “Shipping companies are facing a very difficult situation today; the market is sliding away," Martin Stopford, managing director at London-based Clarkson Research Services Ltd, said at the same shipping summit. 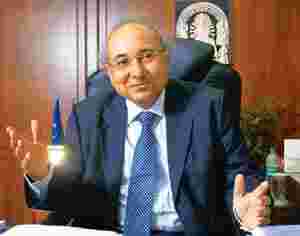 S. Hajara, SCI’s chairman and managing director, said charter rates have plunged 90-95% over the past 12 months. That and poor demand have led to price re-negotiations on several contracts signed during the boom time. SCI is also losing money on a chemical tanker it had hired from SCI Forbes Ltd, an equal joint venture formed by SCI and Forbes and Co. Ltd, a unit of the Shapoorji Pallonji Group, to own and operate chemical carriers. SCI declined to comment on this.